Senior Pastor, ECWA GoodNews Church, Gusau, Zamfara State, Nigeria. Rev (Dr.) Isaac Laudarji is the Pastor of ECWA GoodNews Church in Gusau, Zamfara State. This is in the heart of the Sharia Country and in the fulcrum of violence. Rev Laudarji has however remained a passionate advocate for everyone in the land – Muslim and Christian alike. Everyone in Gusau calls Rev Laudarji “Daddy” because that is what he is; a comforting father figure to both Muslims and Christians. Rev Laudarji is one of those last specimen of unique human beings. 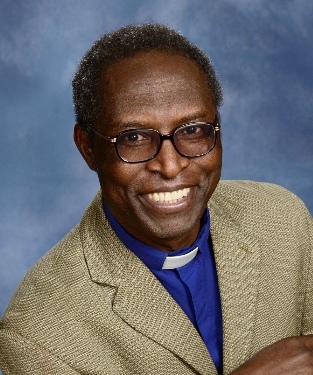 As a naturalized US Citizen and a former Professor in the African American Theological Program in Chicago, Rev Laudarji has no business staying in a conflict Zone where his Church and Parsonage was burnt down as recent as April 2018. For the gentle giant however, service in Gusau, Zamfara State is a Choice, a Choice that he made for his Lord who died for him.